The French colonial administration in Indochina continued to function from August 1940 to March 1945. Indeed, although in August 1940 Japan had declared Indochina to be part of the Greater Asia Co-Prosperity Sphere, the French regime was left intact as the Japanese needed the French bureaucracy and police to manage the economy and to maintain order. Admiral Jean Decoux, Indochina’s governor-general, used his position to preserve as much power as he could and to try to win over the Indochinese sovereigns and their elites by enhancing their prestige. But these elites blamed France for failing to repel the Japanese in 1941; the Japanese occupation helped to revitalize various anti-French movements and to unleash nationalist aspirations. Vietnamese communists in particular now had the opportunity to blend their esoteric dogmas with the more easily understood nationalist cause, which demanded resistance against both the French and the Japanese. Their organizational base was the League for the Independence of Vietnam (Viet Nam Doc Lap Dong Minh Hoi) or Viet Minh, which included subgroups called National Salvation Associations. The Viet Minh’s objective, as a purely patriotic organization, was liberation of Vietnam from the unholy alliance of the ‘colonialist’ French and the ‘fascist’ Japanese. On 9 March 1945, the situation changed dramatically: the Japanese abruptly disarmed and interned the French. In just a few hours, the French colonial regime was brought to an end: immediate independence was offered to the monarchies of Cambodia, Laos and Vietnam. Two days later, Emperor Bao Dai declared Vietnam’s independence: ‘the government of Vietnam publicly proclaims that from today the protectorate treaty with France is abrogated and the country resumes its rights to independence’. On 17 March, shredding off the role of a figurehead, Bao Dai sought to assume direct control of state affairs on the principle of ‘dân vi qúi’ (the most precious thing is the people). But, considered to be a king who reigned but did not govern, he could not possibly attract mass support. Further, the new Tran Trọng Kim cabinet Bao Dai installed on 17 April lacked both credibility and the capacity to impose its authority over the provinces (see p. 25). Moreover, the new regime was confronted with a cataclysmic famine in the north, which provided Viet Minh leaders with the possibility of spreading a mass movement of political and social salvation in the countryside. On 15 August 1945, the Japanese capitulated. The Viet Minh immediately elected a National Liberation Committee to engineer a seizure of power. An uprising later referred to as the August Revolution led to the capture of Hanoi on 26 August, and most provinces of northern Vietnam within days. Common people demonstrated south of the 16th Parallel, including in Hue and Saigon. Bao Dai announced that he was prepared to turn over power to the Viet Minh if that was the people’s wish. He issued an edict of abdication on 25 August, which he then read to a large crowd during a formal ceremony held on 30 August in front of the Ngọ Môn gate in Hue. This edict lent legitimacy to Ho Chi Minh’s new regime, which was proclaimed on 2 September as the Democratic Republic of Vietnam. 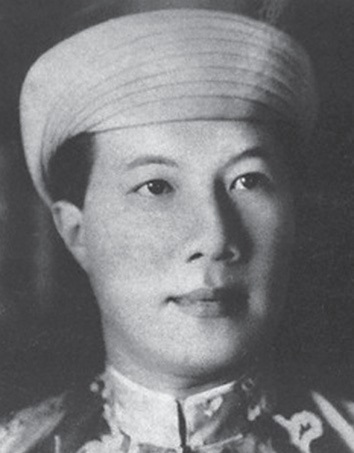 Together with his abdication edict, Bao Dai also promulgated an edict directed at the royal family, reminding them of his attachment to the dân vi qúi philosophy and of his vow that he would rather be a citizen of a free country than the ruler of an enslaved one. He called on the members of the royal family to support the new government and preserve Vietnam’s independence. Both of these edicts made clear Bao Dai’s will to step aside on behalf of the superior interest of the nation. He also affirmed unambiguously that he was transmitting his mandate voluntarily. 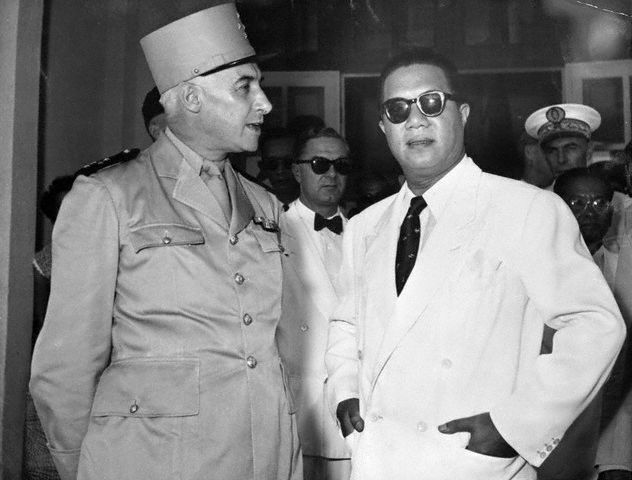 Before going abroad to live in exile, he briefly served as supreme advisor to the new Democratic Republic of Vietnam. The outbreak of war between France and the DRV in December 1946 highlighted Bao Dai’s role as an alternative to Ho Chi Minh. Once France had given way on the two issues of unification for the 3 regions of Vietnam (the 3 former ‘Ky’ renamed Bac Bo, Trung Bo, and Nam Bo), and complete self-determination for the new Associated State of Vietnam, it was possible to persuade Bao Dai to return from his voluntary exile and preside over the new state. 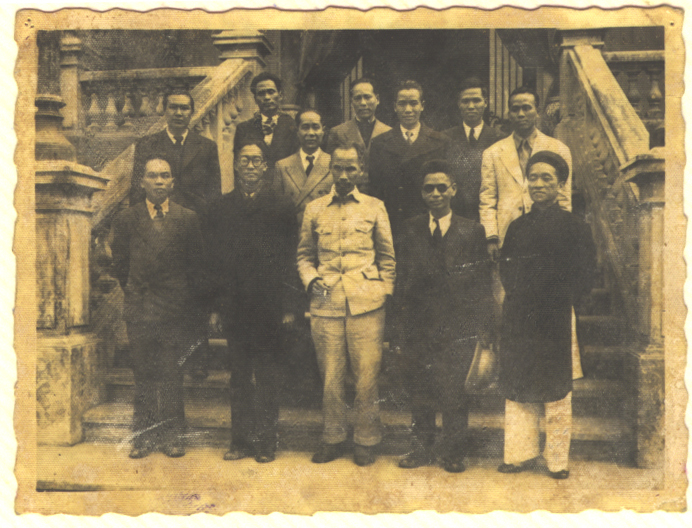 Therefore, in 1949 the French brought Bao Dai back as Head of State (Quoc Truong) of the Etat Associé du Vietnam, but without his imperial title. Bao Dai was to remain head of the non-communist Republic of Vietnam until 1955, when he was overturned by the coup led by his Prime Minister, Ngo Dinh Diem. He lived the rest of his life in France, where he died in 1997.